Do you remember last summer when I posted a video about my garden? Well, we figured out that something, rats or squirrels or some type of animal, was taking our food. So now it is a year later and some birds are stealing our produce. In about mid- April we started getting huge batches of tomatoes in our garden. 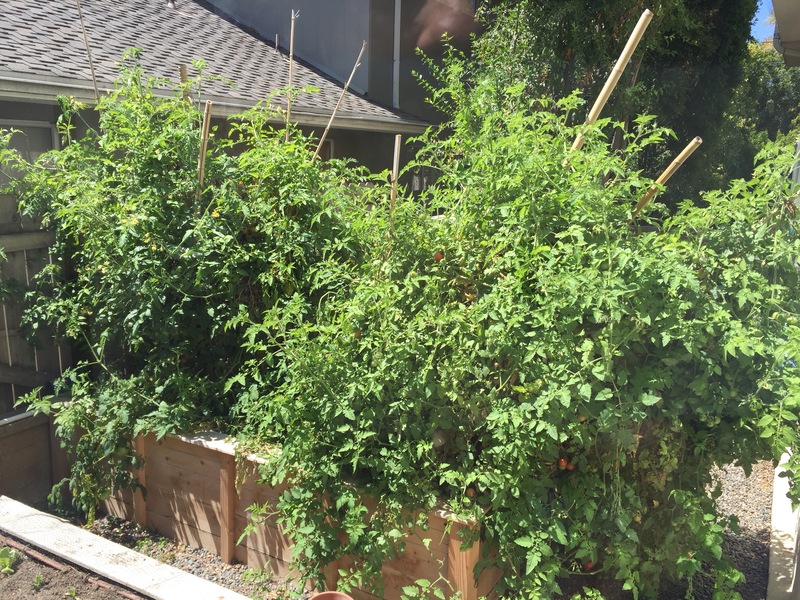 My bedroom is on the second story, and I can almost reach down and grab the tomatoes! 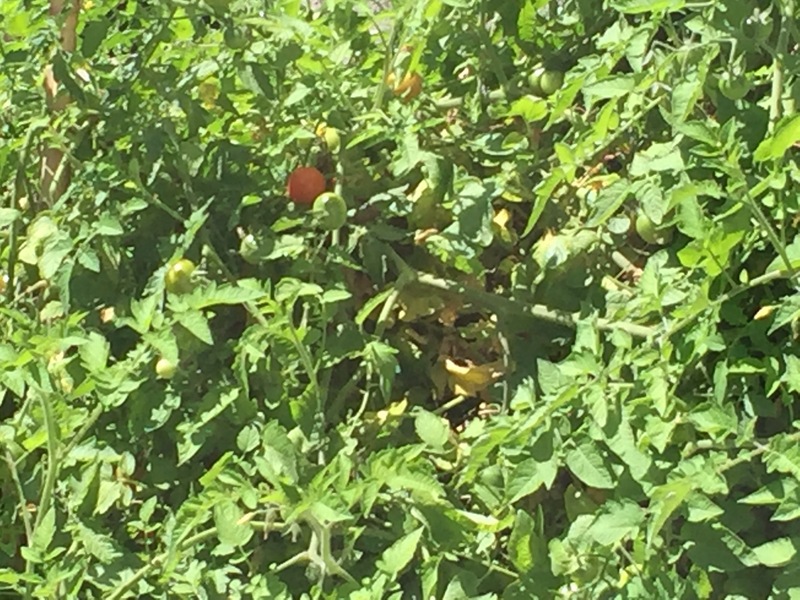 Seriously it is like a tomato jungle! I bet we have picked over 1,000 tomatoes from the garden! Here is our latest batch of cherry tomatoes. Since we have all these tomatoes, we are trying to figure out what to do with them. 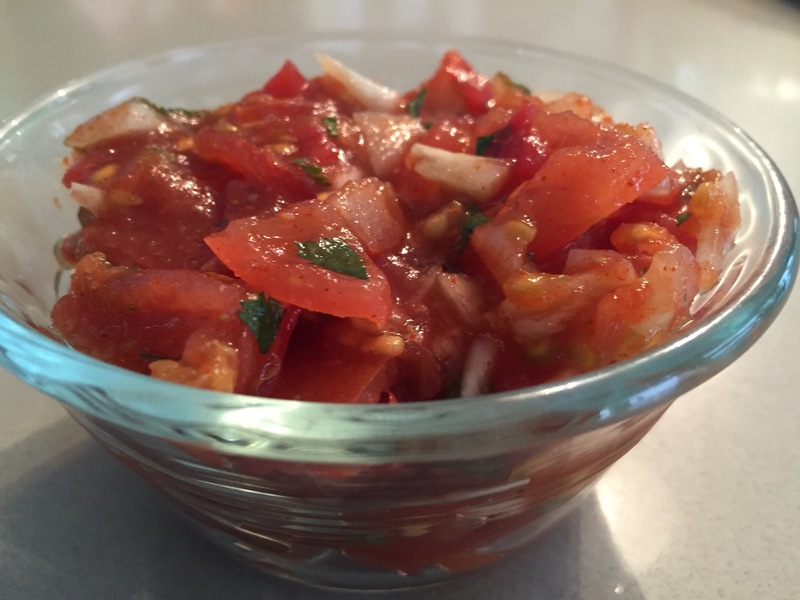 We can make tomato sauce for pasta or pizza, we can make tomato salsa or tomato relish. We can also just eat cherry tomatoes plain! All of these options are so good and so easy to make! Although these are named cherry tomatoes, my family calls them exploding tomatoes. That’s because when you bite into one, they explode in your mouth. 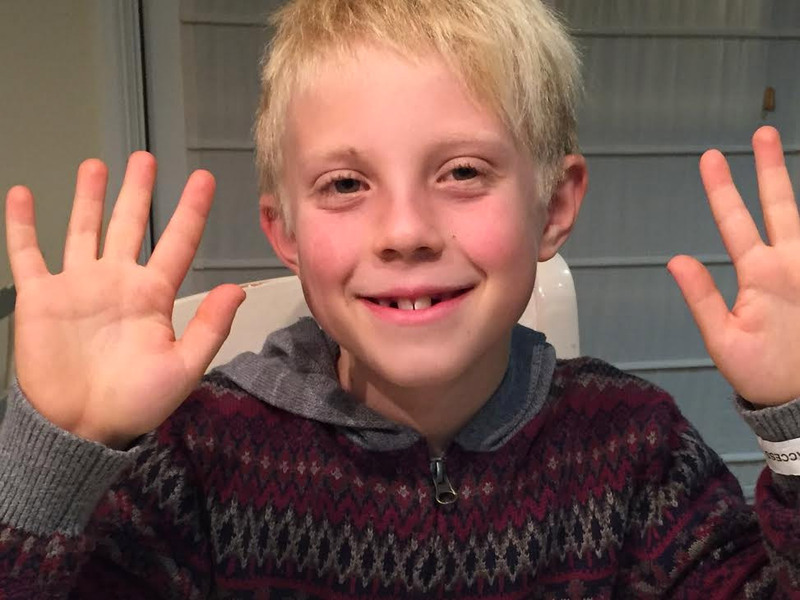 One time I was eating an exploding tomato at school, and my mouth accidentally opened and one of the seeds came flying down at one of my teachers’ feet! And she didn’t even notice. Of course, all of my classmates knew about it but the teacher still had no idea. 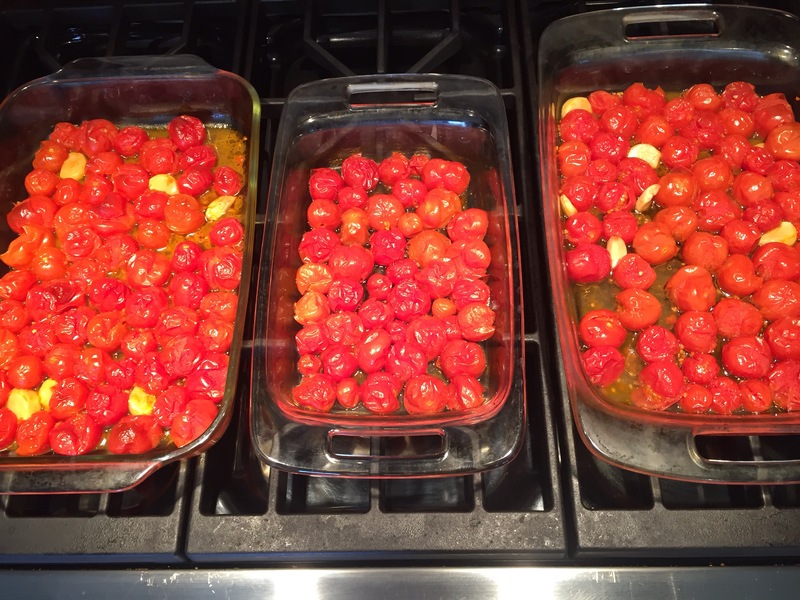 ROASTED CHERRY TOMATO PASTA SAUCE – Yummy! 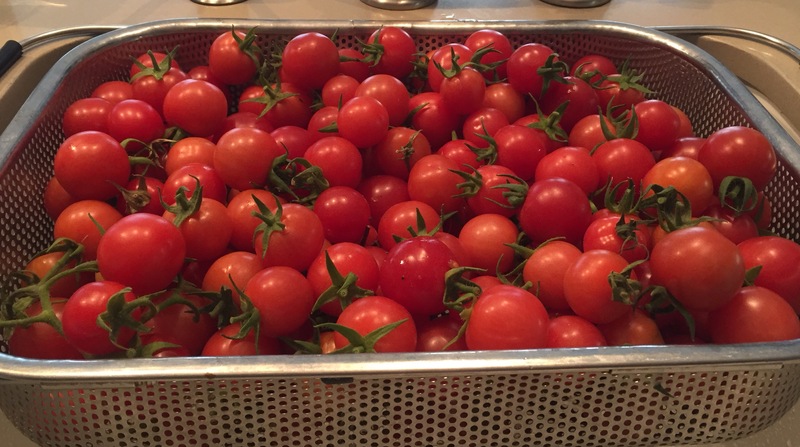 Wash tomatoes, drain and place in a large bowl. 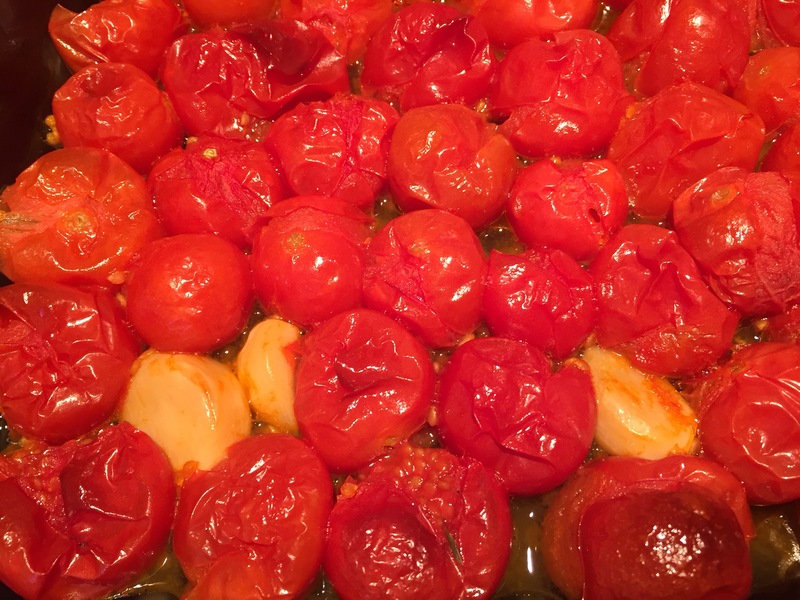 Drizzle oil over tomatoes, enough to coat lightly. Add seasoning mix or basil to taste. 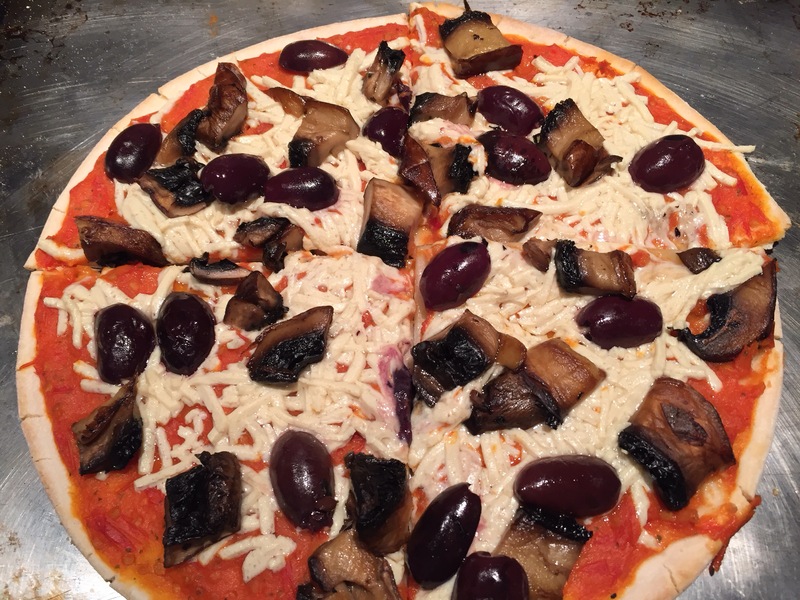 You want to add enough that you can really see it but not so much to overpower the tomatoes. Peel cloves of garlic and toss them in with the tomatoes. Add more for serious garlic punch. Add some extras if you like roasted garlic and are going to sneak some when they come out of the oven. Mix with your hands so everything is coated evenly. Place in a single layer in as many baking dishes as you need and bake for 30 minutes. You will see how juicy they look and your kitchen will smell incredible. After the tomatoes cool a bit spoon them and most of the juices into a high speed blender until smooth. Eat, save, taste, freeze!!! You will be so happy. Those plants are HUGE! Incroyable! You are so lucky in SoCal. You can grow almost anything. Our tomato plants are about a foot tall right now! 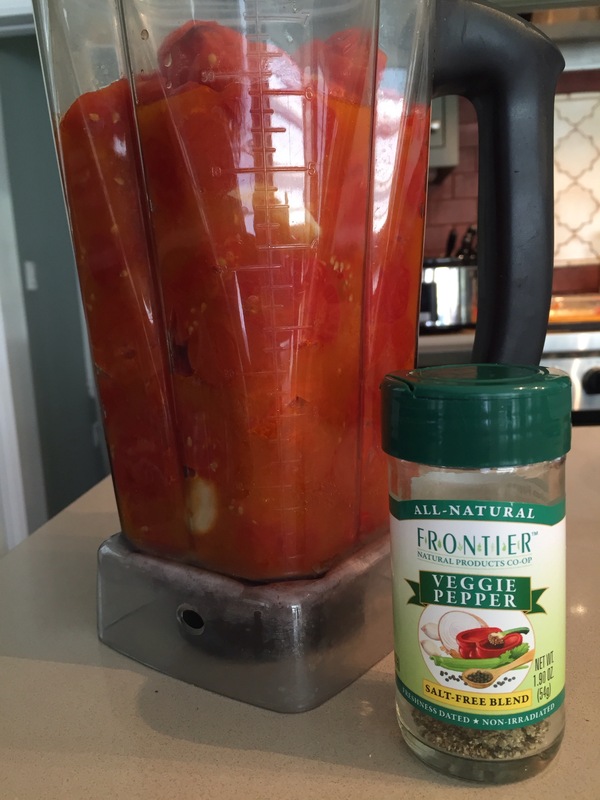 Come visit for fresh tomato sauce, salsa, and tomato relish!